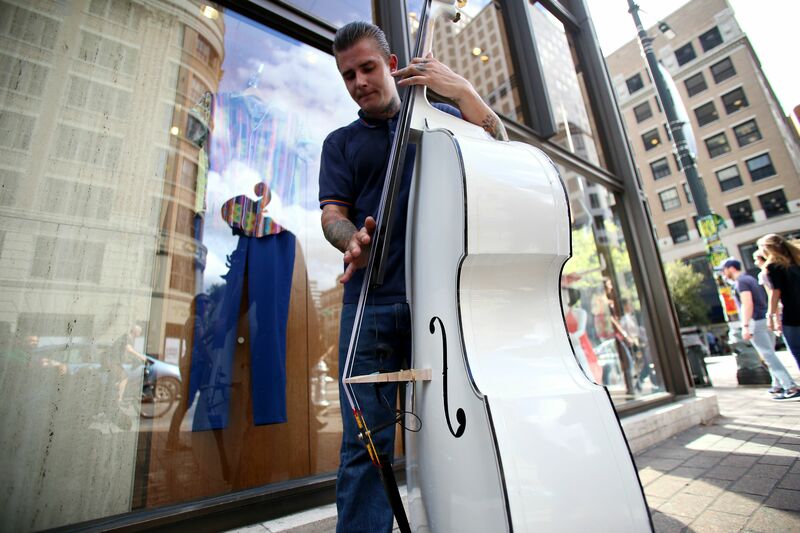 A trio of traveling gypsy musicians has made Austin their temporary home this week. The “dirty” in ”dirty gypsy blues” refers to Darox’s raspy vocals, and the “gypsy” alludes to the band’s nomadic lifestyle. “We just crash in different cities and play on the streets everywhere,” Darox said. The Melody Joy Bakers may be street performance veterans, but this is the trio’s first time at South By Southwest. Although they were temporarily hesitant because of the prevalence of EDM shows, Darox said they are happy to be in Austin meeting new people. “It’s big, it’s nice, it’s fun, it’s good,” Darox said. The band doesn’t have any official gigs, Darox said, but plans to perform for tips on the streets until Saturday. They are also selling their second self-released, full-length album, Tango. “This is what we do for a living — we are professional buskers, and we have a good time,” Darox said.